Friendly children’s hair salon located in The Arcade (opposite Primark). 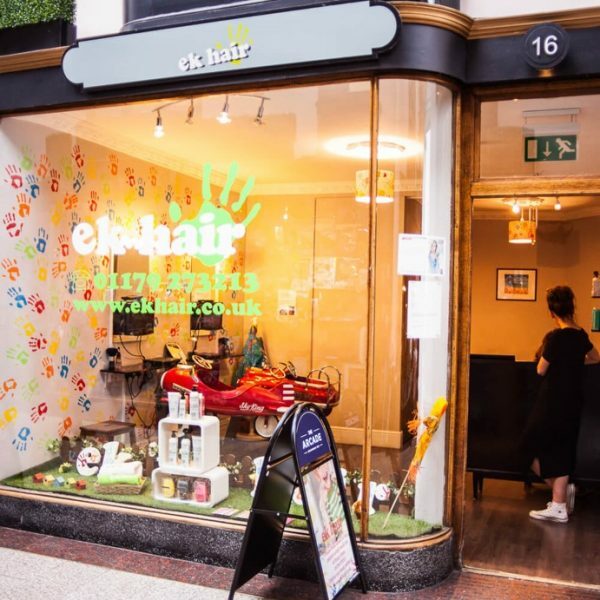 Whether your kids love being pampered, hate having their hair cut or are just a little shy of going to the hairdresser’s, Ek hair has the right solution – they can watch a movie, listen to music or even play computer games from custom made and great fun aeroplane and car seats. Ek hair only use organic hair products for children. There are aslo baby changing facilities available. Adult cuts and styling available too.